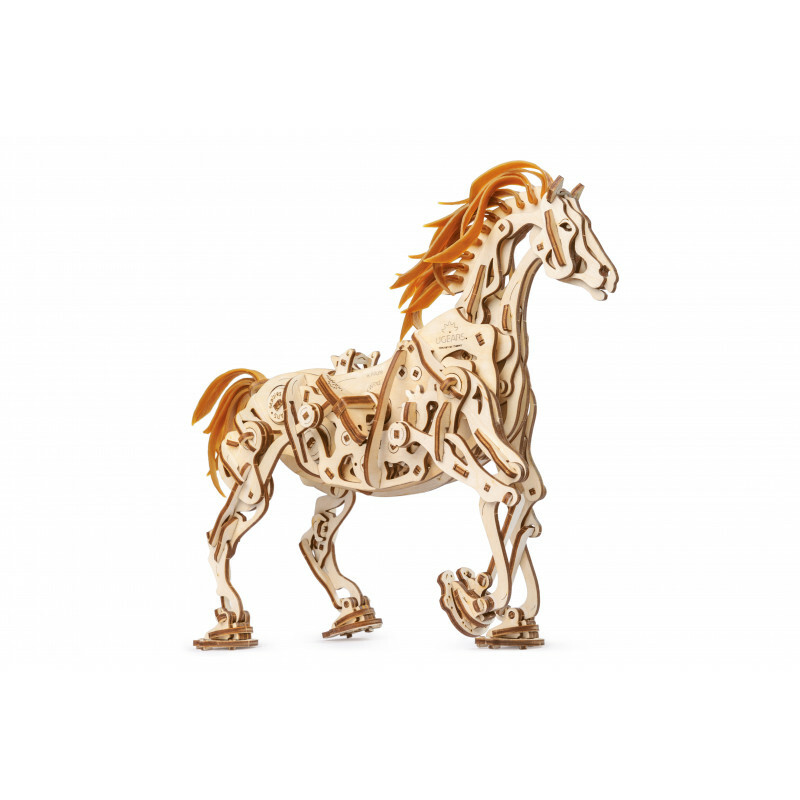 The horse has always been an essential part of Irish life, folklore and mythology. According to the legends horses were introduced into Ireland by the greatest of the gods, the sun god Lugh and were owned by other gods and heroes. 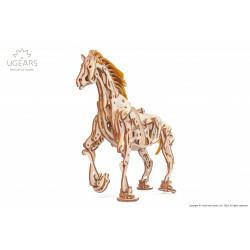 Mannanan Mac Lir, the god of the sea, had a magical horse that could travel over land or sea; Cuchulainn had two beautiful chariot horses that came to him from lakes. Horses were attributed magic powers, for instance, an ability to see ghosts. There is also a legend of the “fíorláir” or ‘true mare’ – the seventh consecutive filly foal born to a dam, believed to be safe from all evil and its rider safe from all harm. On the spot where a ‘true mare’ was birthed a four-leaved shamrock would grow, having healing and protective powers. 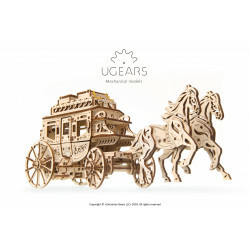 Meet Horse Mechanoid, UGEARs first mechanical walking quadruped. 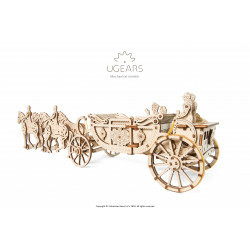 It is a truly amazing piece of engineering built to move on its own, powered by a genuine self-propelled mechanism. 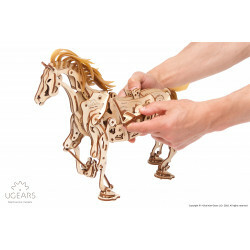 The designers paid extra attention to the anatomy of the horse’s legs to make all the joints and movements closely resemble those of a real horse. To animate the legs the engineers implemented a unique innovation - a claw mechanism. Still, the moving element of the Horse Mechanoid is its rubber band mechanism, linked to the movable parts, in addition to a pendulum, located in Mechanoid’s chest. 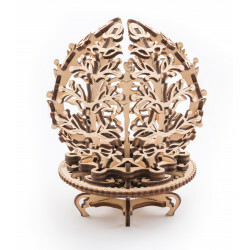 Your new magnificent wooden friend won’t travel very far, the distance it can cover in one winding is quite limited, but it’s enough to observe the beauty of the model’s moving mechanics. The mane and tail of the horse are made of flexible rubber bands. When moving, the mechanoid shakes its head, swaying the soft rubber mane, just like a real horse. 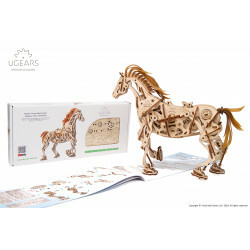 With UGEARS Horse Mechanoid, mechanics meets nature and gives you a truly unique experience assembling and operating the model. 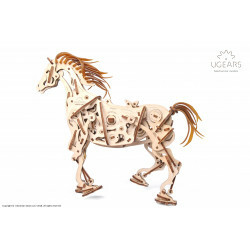 The Horse Mechanoid set is made with sustainably sourced wood materials and comes with everything needed for assembly. 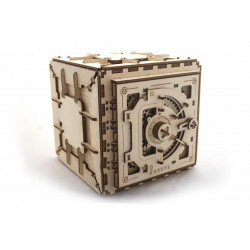 No external power source or batteries are required , as the model is powered solely by rubber bands, gears, and cranks.